The car broke down on the southbound carriageway between junctions 29 for Mansfield/Chesterfield and 28 for Sutton, South Normanton and Alfreton, which has forced one of four lanes to close. 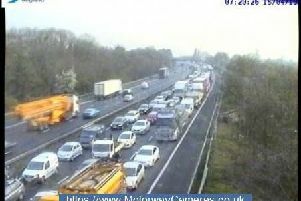 Congestion is building, with Highways England saying "there is one of four lanes closed. 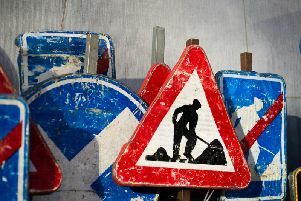 Normal traffic conditions are expected between 3.30pm and 3.45pm on April 12, 2019."